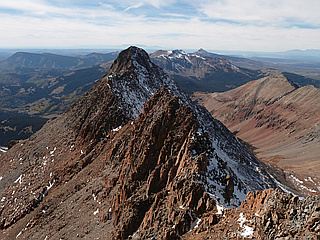 El Diente Peak is a Colorado 14er in the San Miguel Range of the San Juan Mountains. 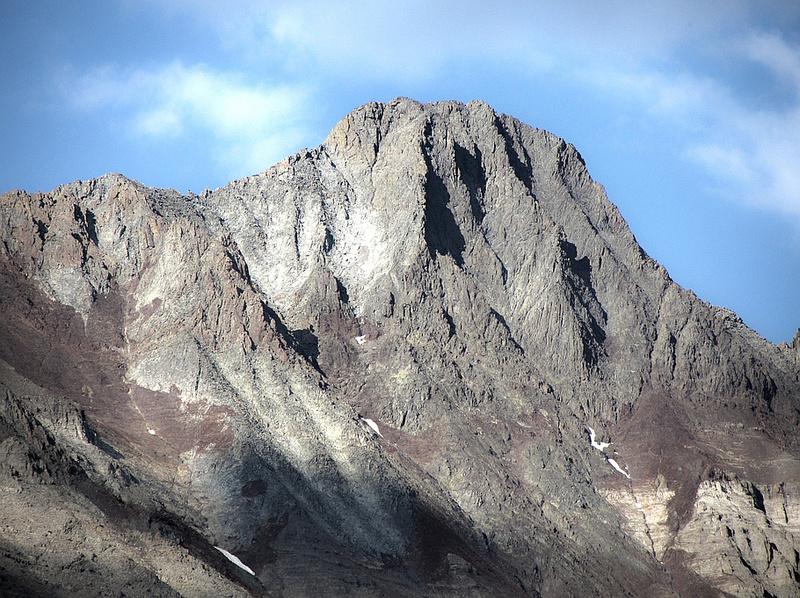 El Diente (Spanish for "the teeth") is one of the more dramatic peaks in Colorado in terms of local relief and steepness and is one of the most challenging climbs among Colorado's 14ers. All routes involve at least Class 3 scrambling on loose talus, and poor route-finding can expose the climber to more difficult and dangerous terrain. 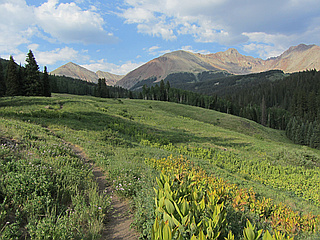 The ridge connecting El Diente to Mount Wilson is one of the four great Colorado 14er traverses. El Diente only has 239 ft prominence, so by a strict 300 foot cutoff rule it would not be counted as a separate peak from its higher neighbor Mount Wilson. 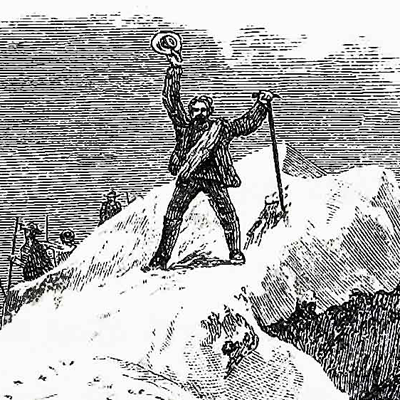 However the 3/4 mile connecting ridge is a significant Class 4 climbing challenge, making El Diente more independent than its prominence would indicate. Hence this sentimental favorite is included in the 14ers challenge on peakery.